It has been an eventful four months since I last wrote. I was able to attain my mechanic certification back in January so that was a huge praise! I had been struggling at my workplace for a long time but did not feel freedom from the Lord to leave. Within the last few weeks, I was under extreme amounts of stress at my job and sought counsel from many godly people. With their encouragement and support, I ended up resigning. The following Saturday, I was seeking the Lord about what the next step might be. Having my mechanic certification opens many doors for me. 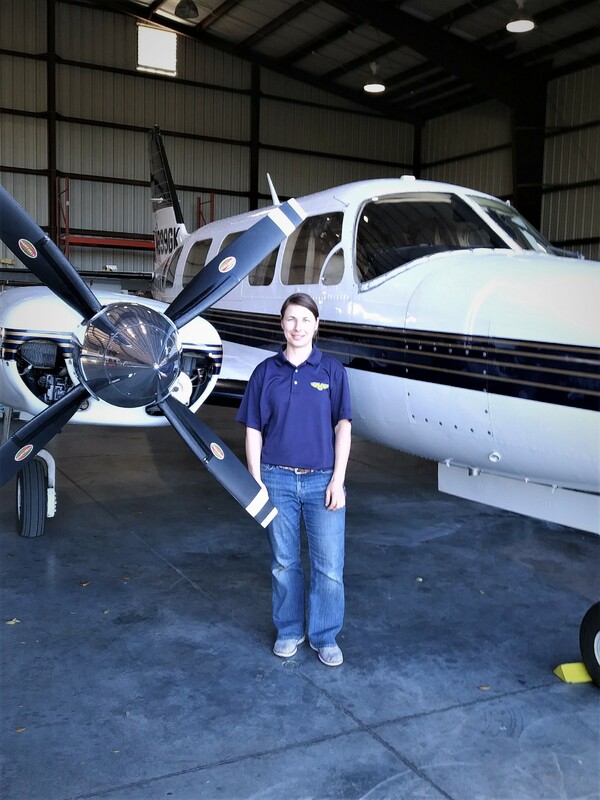 I reached out to 3 different missionary aviation groups and inquired about mechanic opportunities. All 3 organizations replied with interest. The first organization to respond was Harvest Aviation in Wauchula, Florida. The president of Harvest called me back that same afternoon and we spoke for about 40 minutes. We decided that I would try to visit while I am currently unemployed. I left for Tampa three weeks ago and was able to spend some precious time with my cousin Mandy who just recently moved to Florida with her husband. She then brought me part of the way to Wauchula where a member of Harvest would pick me up. I spent 6 days visiting the mission organization. I cannot even begin to tell you how God showed Himself so clearly each day I was there. It was incredible! I will just share a few highlights. First of all, let me explain what Harvest does. 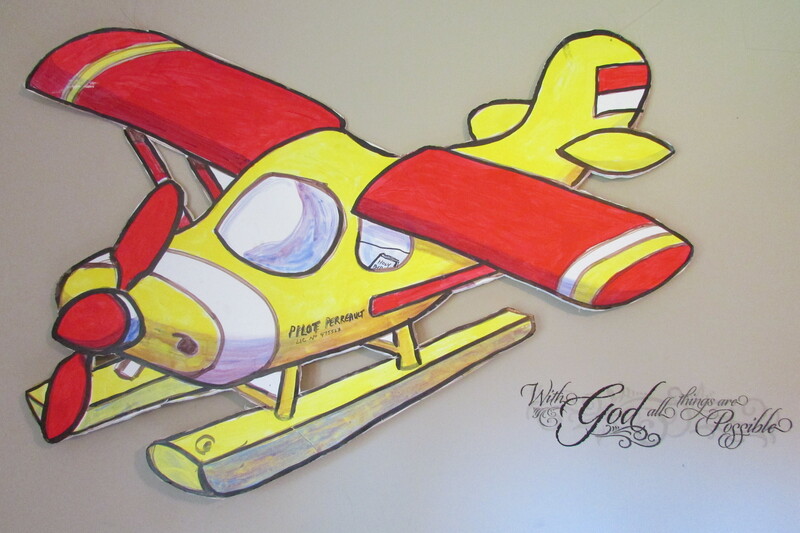 There are three core ministries of the organization: Air Support, Missionary Care and NextGen Training. Currently Harvest serves missionaries and churches in Belize and Honduras by transporting cargo and supplies once a month. That would be the Air Support ministry. The Missionary Care ministry supports the physical, emotional, and spiritual needs of the missionaries and pastors who are serving God on the mission field. 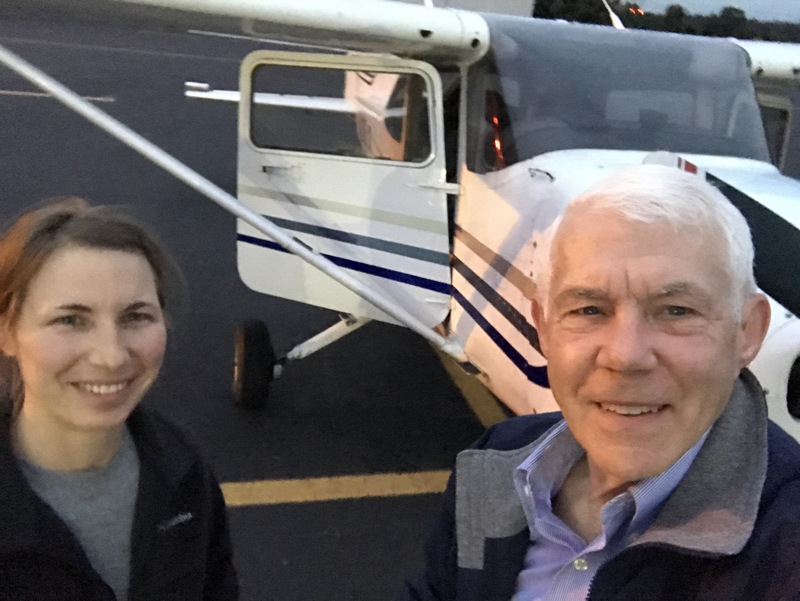 Lastly, NextGen training is aimed at training those who have the call of God on their lives to serve the Lord using aviation as either pilots or mechanics. I will be able to participate in each of those ministries and I couldn’t be happier! Harvest Aviation currently owns 2 aircraft and has access to one larger aircraft which they currently use for the flights to Central America. I have been told within a year and a half that I could be piloting the flights to Central America! I am overjoyed at that possibility! Another aspect of Harvest that I am excited to participate in is the actual trips to Belize and Honduras. The Missionary Care program focuses on the needs of the missionaries and those serving in full time ministry overseas. I have been given the opportunity to come alongside our Executive Director to help train and mentor the women in Belize and Honduras. Lastly, there is another ministry in town whose goal is to restore families through breaking the chains of addiction in the lives of women. I had the opportunity to meet with the founder of this organization and we are seeking the Lord about forming a partnership where I could volunteer with her program in exchange for housing assistance. I am equally excited about mentoring women and using the Word of God to bring healing. There is a lot going on. There are many open doors and an excitement about what the Lord is doing! I am planning to send out more frequent updates as I make this transition. Thank you so much for taking the time to read this update. I am very excited for the next steps. Please pray that I would trust the Lord’s ever-faithful hand as He guides me through the next few months. You all are such a blessing to me! Stay strong in the Lord! This plane was a VBS prop one year. It given to me and has traveled with me to UT, KY, TN and now back to NJ. I had originally scheduled the exam for Thursday. I had planned a mock checkride for the previous day with an instructor to insure that I was, in fact, ready for the test. That day, the winds were strong, gusting to 28 knots (32mph). It was fun, but I was fatigued and didn’t perform very well. After that flight, I sat down with my instructor and the instructor that gave the mock test. We debriefed and discussed whether or not I should proceed with the actual checkride (flight exams) the next day. The fact that we were even having this discussion left me deflated. I had thought I was ready. Looking at the weather for Thursday, I noticed that the winds would be strong – not as strong as Wednesday, but strong enough where I might not want to fly. 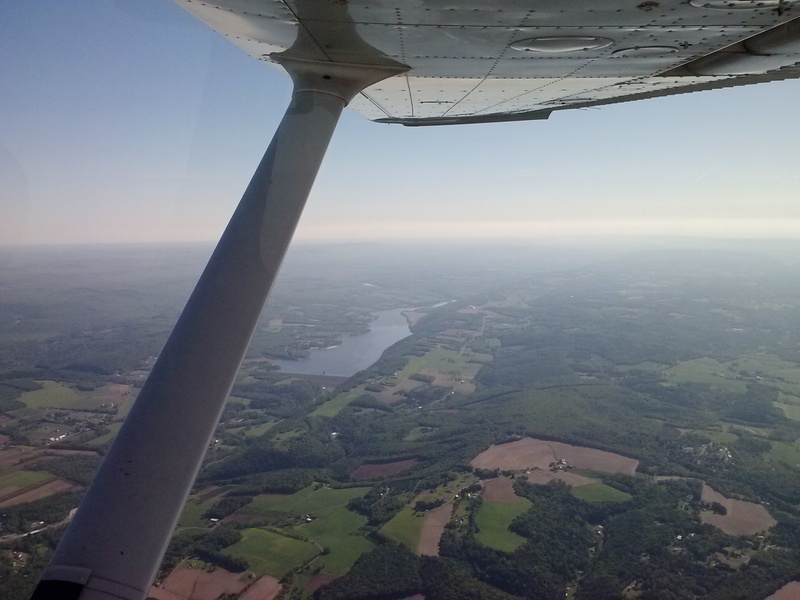 So after that, and with the realization that I was exhausted, I decided to cancel the checkride. The examiner asked if I would like to try for Friday. At that point, I felt deflated, exhausted and not sure what to do. I told him I would like to just hold off. Thursday came. I went to work as usual. I slept well the night before. My mind was constantly on the checkride. Should I take it Friday? At this point, even if I felt ready there were no planes available. I looked at the weather for Friday; the winds were calm and only up to 6 knots which was nearly perfect. I just kept thinking. I was torn. I looked at the schedule. There were glimmers of hope. On Wednesday, another student, who is a friend of mine, had mentioned that if I needed to cancel her flight so I could use the the plane she had reserved, she would do that for me. When I got home from work that night at 6:30, I ended up texting the examiner. I figured, let me just see if he would still be available. He was. Long story short, everything came together, and it was set. Because the airplane was only available in the afternoon, we decided that I could drive to the airport where the examiner was located in the morning and take the oral exam there. 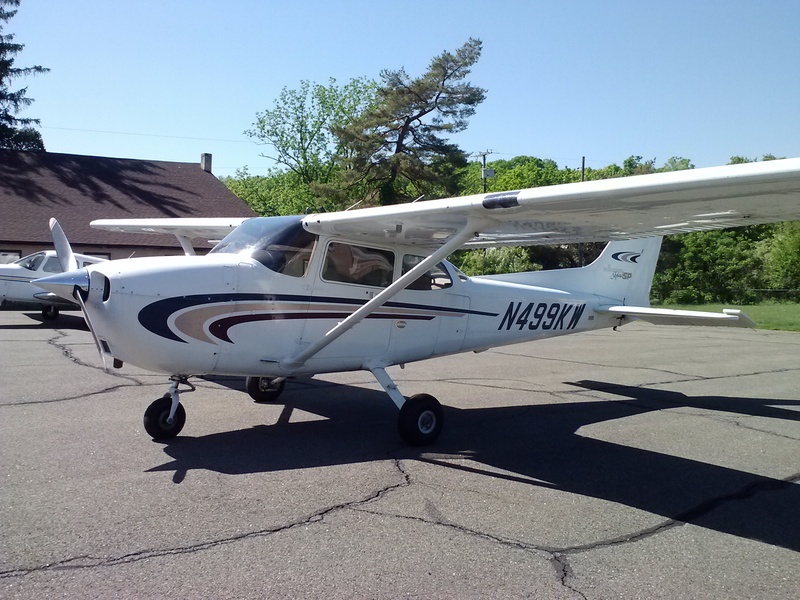 I would then drive back to Trenton, where the airplane was based, and fly back to the examiner and continue the flight portion of the exam. Needless to say, it was a long day, but I felt 100% okay with that. I was happy to be doing it. I felt good. I had a calmness and peace I did not have before. The oral exam lasted 2.5 hours. I did fairly well – well enough to pass! He extended his arm to shake my hand and congratulated me on passing the oral exam. At that point, I was so happy. I knew whatever happened from this point it was a victory for me. I had gotten further than I had been before. I knew that if the flight portion didn’t go well that all I would have to do over would be the portions that were not satisfactory. My license was within reach. I just had to take one step at a time and trust that God would see me through if it was His will. I drove back to Trenton. As I was driving the song from Hillsong came on, Not Today. It is a song of victory! “Let the devil know, not today.” My mind went to the thought, “what if I actually get my license today?” My eyes started to water. I instantly thought, “no, I can’t go there. I need to take it one step at a time. Whatever God gives me, I will rejoice in that.” I arrived back in Trenton after stopping home briefly to eat. I did a preflight inspection and filled the fuel and oil. I had noticed a couple of minor maintenance items that needed to be addressed, so I got those taken care of and was on my way. The plane I flew just before I did my preflight inspection. I flew back to the examiner. We talked for a bit on the ground and then proceeded to the airplane for the flight portion of the exam. Throughout the flight, I noticed things that weren’t perfect. Some things I was just forgetting to do; others I just wasn’t doing that well. But, I was happy with my decision-making and command of the airplane. God was allowing me to stay within the required headings and altitude for the most part, which is something I had struggled with a few days prior. After being tested on flight maneuvers and procedures for at least an hour, we proceeded to make our way back to the airport. I did a couple of takeoffs and landings and then taxied into a parking spot and turned the engine off. We both took our headsets off, and he asked, “So, how do you think you did?” I knew I wasn’t flawless, but I didn’t want to throw myself under the bus. What if he thought I did well? So, I said, “Well, it could have been better.” He responded, “Ah, don’t be so hard on yourself.” He extended his hand for a shake. “You are the world’s newest private pilot.” I was shocked and overwhelmed with joy! “I will meet you inside,” he said. It was an incredible moment! I could hardly believe it. The moment I had been waiting so long for had just happened! Wow!!! The examiner and I after I became a private pilot! We sat at the table debriefing for a little while. We then began chatting and found out that we were both born-again Christians. It was really encouraging. He said, “you know this isn’t a coincidence.” I assured him that I agreed. He offered to take me to get a slice of pizza since my ride wouldn’t be able to come until 9pm. It was such a great day! My ride came around 9, and we got back to Trenton around 9:30. It was a long day, but I would do it again in a heartbeat. I cannot thank everyone for all the love, prayers, and support over all of these years! It has been a long journey, but not once did anyone say that I couldn’t do it. People have given donations, said prayers faithfully, and provided encouraging words to help me persevere. I wouldn’t have wanted to do this without each of you and am very excited to see what the Lord has in store. I am working simultaneously on applying to the FBI and working toward my mechanic certification. I am also taking the necessary steps to officially becoming a non-profit. There is a lot on my plate, but it all seems to be going smoothly. Thank you again for everything! I am happy to share this moment with you. 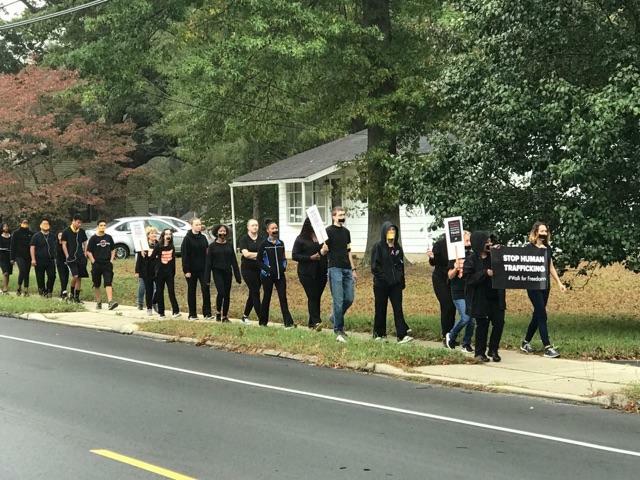 I wanted to let you all know that I am participating in a walk to promote awareness of trafficking happening not only in our community but globally. 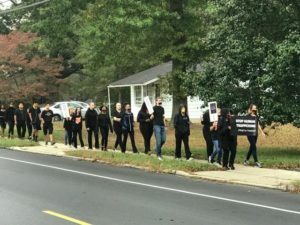 If you would like to support me financially, I will place a link at this bottom of this blog entry that will lead you to my fundraising page. The latest progression on my pilots certificate is that I will be taking a mock checkride on Wednesday. After that, I will schedule my test for any day to follow. I am hoping to schedule the checkride as soon as possible. I am excited for all that God has in store and as always would appreciate your prayers! I was reading in my devotions this morning about the widows mite. I could relate because that is how I feel right now. I am giving everything I have into finishing my license. I know God is going to show Himself loud and clear. 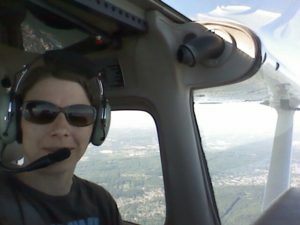 Right now, I am anxious about not being ready for my checkride (my final exam to get my license). My checkride is scheduled for one week from today, Thursday July 5th. I feel like I have learned all that I need to know. I just need to remember and apply it all which is the hard part. As most of you know, my health has been a challenge over the last couple of months, especially. We did find out that I was deficient in iron and a couple of other vitamins that are directly linked with one’s energy levels and ability to cope with stress. While I was taking the new supplements, my energy levels were good. About two weeks ago, my supplements were running low and I thought, “Let me stop taking them for a while and see if they were really helping or maybe I took enough to restore my body.” The following week my energy level tanked. In one way, I was grateful so I could be sure the supplements were working but on the other hand, it has been a struggle to get back to where I was. With the checkride coming up and my flying more regularly while still working maintenance, my body has not been able to keep up. So, I wrap it up by saying this. I feel like I don’t have much to offer in terms of bodily strength in preparing for my checkride but I give it to God. I will try my best to leave it in His hands. My goal is to study and fly when I can with joy and leave the results up to Him. This is much easier said than done! I would really appreciate your prayers on my behalf. Crossing this bridge will be monumental in not only my life but in the lives of so many others who are desperate for help. Thank you for taking the time to read this update. Your prayers are priceless. Many of you know that I was blessed to finally fulfil my last requirement toward my pilots license. It was such a gift from the Lord. Looking back, I am grateful that I had the first flight to help me prepare for this one. I had been praying specifically that God would allow everything to go smoothly and that I would have fun! My prayers were answered. The weather couldn’t have been nicer and I didn’t make any major mistakes. The flight certainly boosted my confidence. Now I just have to practice some maneuvers to get them within test standards. 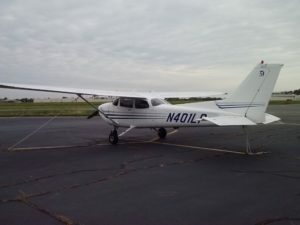 The flight exam will be scheduled when my instructor and I feel that I am ready to pass with ‘flying colors.’ Another blessing is that an instructor at the school where I work has offered to take me on a mock checkride and promised to be rough on me so I would pass my exam. That is such a blessing because he is a retired Air Force pilot whom I really respect so I am grateful. I wasn’t able to upload the video but here are the few pics.. This weekend I was blessed to spend time at Keswick. This has been my fourth Memorial Day conference. For the first time, I was able to go into the Lake and I even took a paddleboat out. It was such a nice, relaxing time. It is always nice to reunite with friends and many people who are excited about what the Lord is doing in my life. The speaker is also very good and overall it has just been a wonderful time. Well, check back often. I have 2 flights scheduled this week and that is all I can do because of the weather. Thank you all so much for your continued care and support through prayer. God bless you. It was a great weekend–but a long one. I had a flight scheduled for Monday morning and I knew I was supposed to solo but I felt unprepared and exhausted the night before. I wasn’t sure how it would go but the next morning I felt better but nervous. My instructor has so much confidence in me so he stepped out of the airplane. I took off and landed safely 3 times. This morning I was set to go to the practice area by myself, just about 15 miles from the airport. The nerves set in once I got to the airport. By the time I got into the plane, I was a bundle of nerves. I tried to shake it off and forced myself at least to takeoff and land but after the third time, I knew it wasn’t going to go away. I hope I can go up again soon. I know I can do it. I just need to prepare better so I have nothing to be scared of. Prayers appreciated.